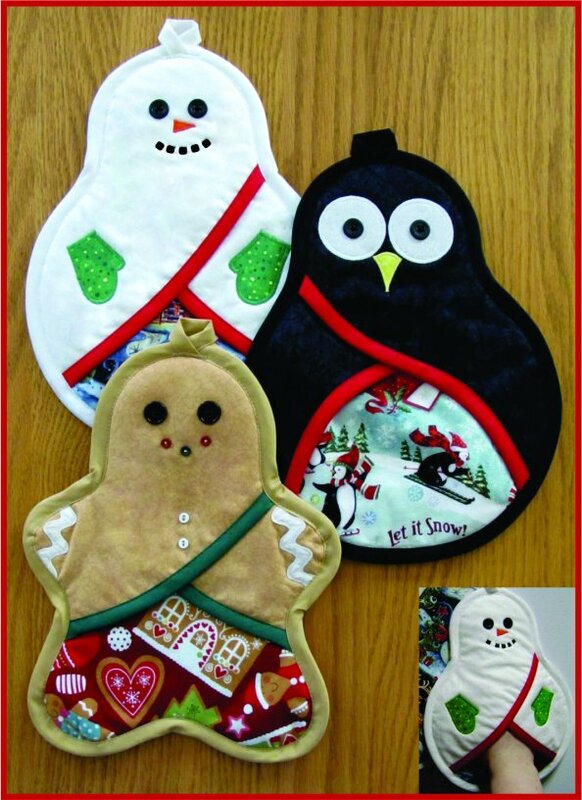 Full-sized pattern pieces to sew up a group of cute Holiday pot holders, with a criss-cross design that forms a pocket in front to protect your hands from the heat. Makes great gifts - and don't forget your own kitchen! Sew quick, easy and functional! Approximate finished size 11" x 8.5".